Once upon a time, Jimi Ben found himself lost in the jungle. He had been wandering in South East Asia for years and could find no way out. One night he was cruising for dirt and love, he got struck by sexedelic visions emerging from the red lights of go-go bars. An inner baboon voice told him: “Jimi ! Bad is good for you. Why don’t you set up a Rock’N’Roll band ?”. That’s exactly what he did. Back in his hometown (Stockton, Northern France), he was taught by long time friend Ricky Love how to play power chords on a guitar and recorded a first LP demo on a 4 tracks tape recorder in his kitchen. 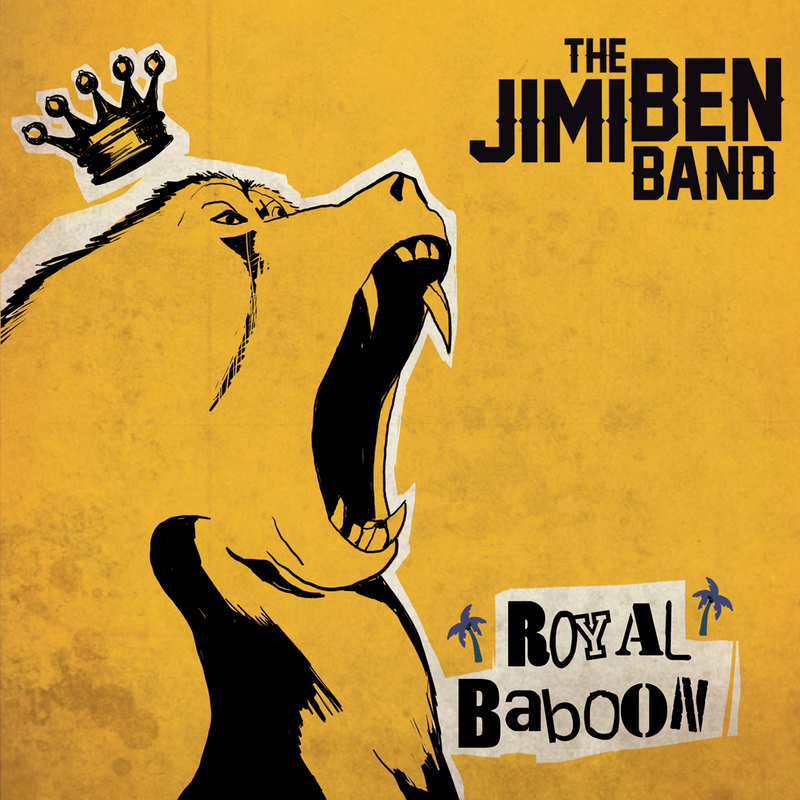 In December 2009, Johnny Boom (drums) joined Ricky Love (bass, vocals) and Jimi Ben (vocals, guitars) for their first show and further DIY tape recordings (Monkeys In Da House EP – 2011). Mainly influenced by American Garage bands, 60’s British Beat groups, Surf Music, Punk Rock and New Wave, these slackers like it rather cheesy, danceable and fun. The Jimi Ben Band started as a lo-fi garage trio. Since then, they have performed about 40 shows in France and Belgium and developed a degenerate style based on energy, coconut vocals and great amounts of reverb. They have made it quite clear that they wanted nothing but having girls dancing at gigs. No need to say we hope they won’t forget to release an album or two.